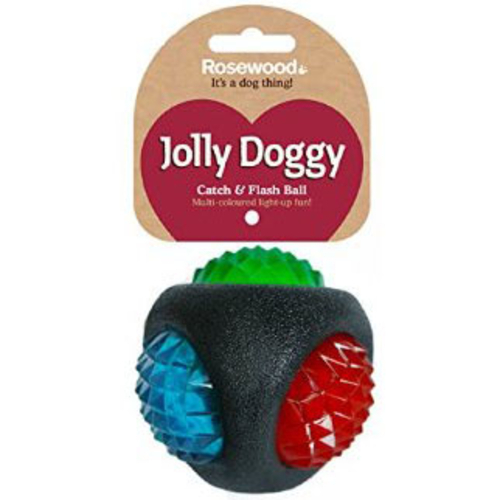 Rosewood Jolly Doggy Catch & Flash Ball is a multi-coloured ball that lights up and flashes on impact! Your dog will love chasing this bouncy, rubber ball that is multi – textured! The flashing lights make it a great ball to play with in low light!